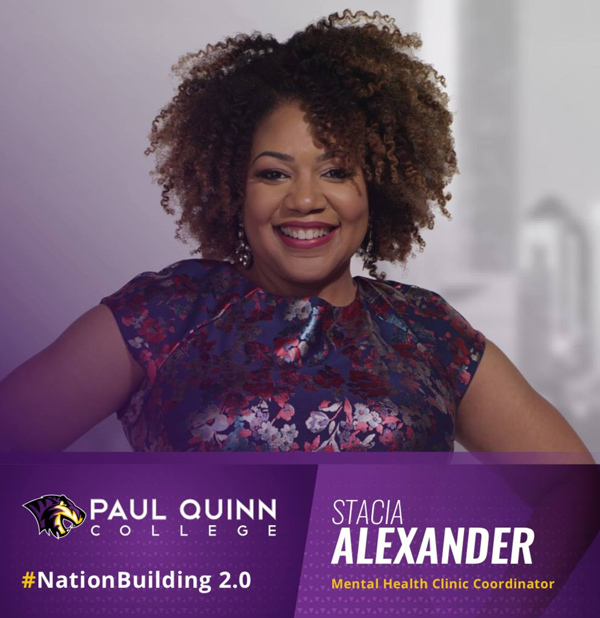 Although poverty and mental health seem inextricably linked, proactively working to combat depression through smart initiatives like those at Paul Quinn College in Dallas is proving effective at breaking the cycle. Mental health demands simple ingredients to flourish. 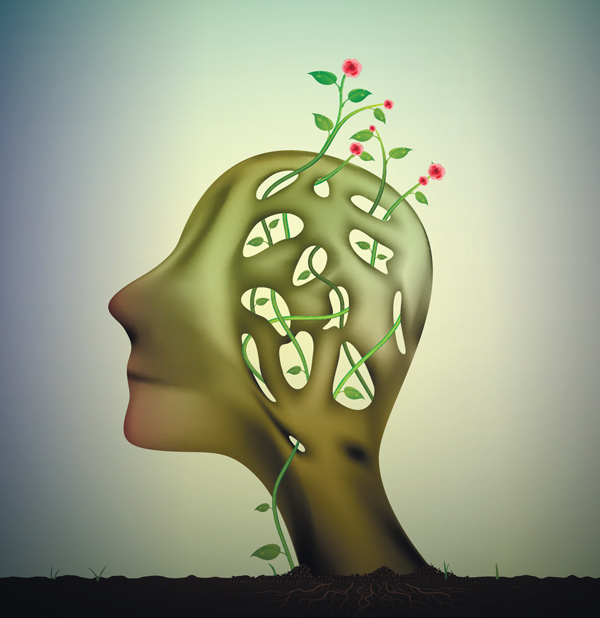 Just like a plant needs sunlight, water and fertilizer, the brain needs sleep, nutrition, exercise, social connectedness, and personal balance to protect against depression. A person might have a genetic predisposition for depression, but plant that person in positive soil, and the outcomes dramatically improve. For those in poverty, not only is access to basic mental health needs elusive, trauma slams against even the most centered person like a wrecking ball. When ringing gunshots, sexual abuse, food deserts, and uncertainty about where one might stay the night form the staple diet of someone impoverished, it’s not surprising serious mental illness is more than twice as likely for those living below the poverty line (7.1 percent versus 3.1 percent, according to a 2016 report by the Substance Abuse and Mental Health Services Administration). For those in poverty, not only is access to basic mental health needs elusive, trauma slams against even the most centered person like a wrecking ball. Fortunately, early intervention and a personal touch can squelch depression before it has a chance to take root. That is why it is worth understanding what Paul Quinn College in Dallas is doing to defy the link between poverty and depression. Founded in 1847, the historically black college is drawing upon the strength of a community and taking a proactive approach. Michael Sorrell is the president of Paul Quinn, which faced plummeting admissions, overwhelming debt, and moldy buildings when he took over the school in 2007. To stop the financial hemorrhaging, Sorrell did the unthinkable in Texas: He eliminated the football team. The decision saved the school about a million dollars annually and provided the space of the unused football field to attack another problem plaguing the school and surrounding community: a complete lack of availability of fresh fruits and vegetables for miles around campus. Located in far southern Dallas, Paul Quinn College is in the middle of a vast food desert. Years later, this bold move surpassed even Sorrell’s visionary expectation. 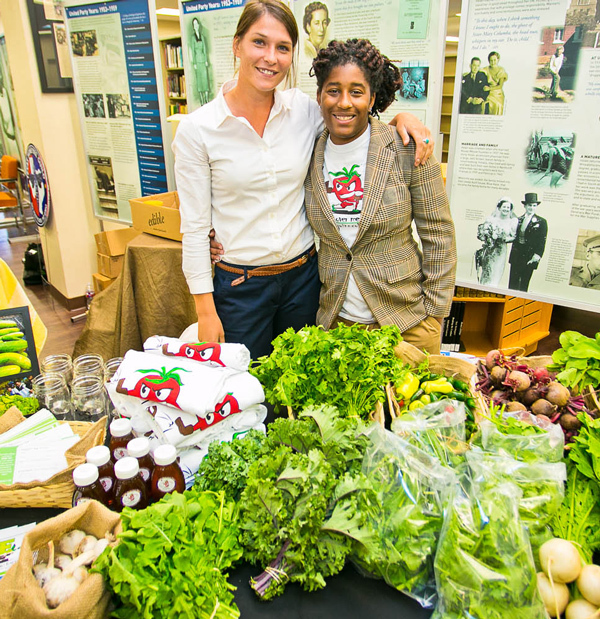 The school’s We Over Me Farm now ships 12,000 to 15,000 pounds of produce each year to AT&T Stadium in Arlington, Texas, not to mention providing a local farmer’s market to support the surrounding community and supplying the school’s cafeteria. What was once a financial drain on an unstable school has transformed into a multi-million dollar surplus that helps fund Paul Quinn. What was once a financial drain on an unstable school has transformed into a multi-million dollar surplus that helps fund Paul Quinn. In another visionary move, Sorrell initiated a program with the University of Texas Southwestern Medical Center to provide a mental health screen for all incoming Paul Quinn College students. Approximately 40 percent of them come from poverty-stricken areas in Chicago, Oakland, Detroit, and Dallas. Sorrell noticed the staggering number of students coming from schools where classmates were shot and the impact this trauma has on their behavior. He felt that if he surrounded these students with love and professional support, they would avoid the illness that often results from trauma trapped in silence. Rather than waiting for problems to erupt at Paul Quinn, Sorrell reached out to UT Southwestern for help. If every student had access to mental health resources as standard care, then care for mental fitness might be seen as something that requires routine, practical attention, as opposed to something to be feared. If every student had access to mental health resources as standard care, then care for mental fitness might be seen as something that requires routine, practical attention, as opposed to something to be feared. 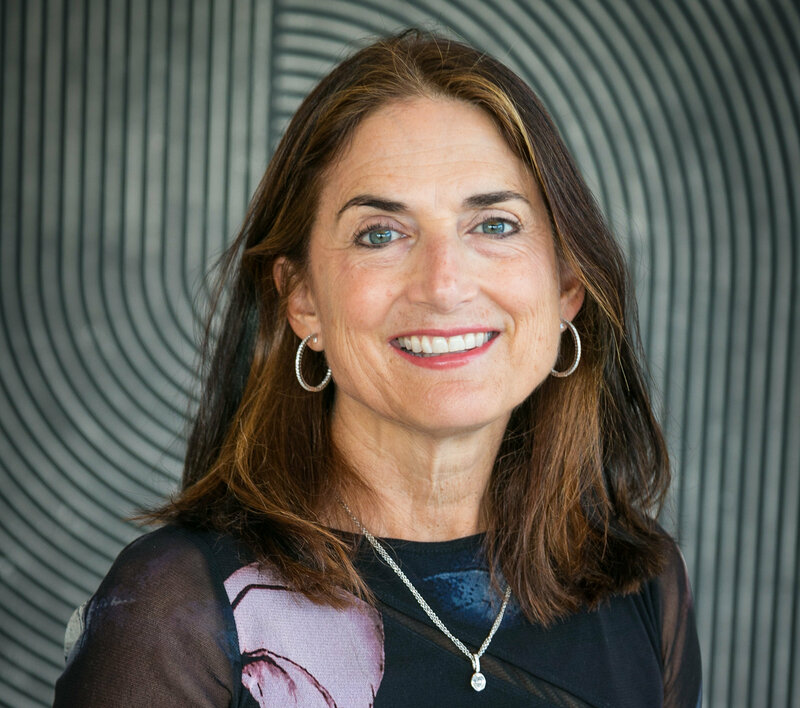 With the help of Dallas mental health care provider MetroCare and UT Southwestern, Paul Quinn built information about mental illness, access to treatment, crisis assistance, and the clinic into the freshman orientation, various panels, and town hall meetings. During the latter, President Sorrell and a student leader openly discuss their experience with mental illness, which prompts students to share their own experiences. For about three years, UT Southwestern has provided a senior psychiatric resident, a nurse, and a supervisor on a weekly basis at an onsite clinic at Paul Quinn. Each incoming freshman receives a mental health screen. Dr. Stacia Alexander, the coordinator of Paul Quinn’s mental health clinic, feels this general screening is critical for eliminating the stigma associated with mental illness. “If students equate mental health to physical health,” she emphasizes, “they are more likely to seek help.” She compares seeing a counselor to a visit to a dentist or a primary care doctor. Social media alerted Paul Quinn students of Dr. Alexander's presence on campus. When Dr. Alexander asks a student if trauma has occurred, students uniformly answer “No.” Then she probes deeper: “Have you ever seen someone shot? Raped? Witnessed domestic violence?” “Yes” is a frequent answer to those questions. Students don’t see their experience as trauma unless someone helps define trauma. Dr. Alexander and the team from UT Southwestern help students understand that experiences like this can impact their health. Most students don’t equate insomnia and irritability to depression, something that might be eased with counseling or medication. She finds the biggest obstacle to students pursuing help is disbelief. Counseling is seen as something for rich people, not for someone in their economic state. Others believe that if faith is strong enough, counseling shouldn’t be needed. Dr. Alexander and the UT Southwestern team work hard to dispel both these myths. She finds the biggest obstacle to students pursuing help is disbelief. Counseling is seen as something for rich people, not for someone in their economic state. The door to her office is open whenever she’s not in session with a student and she feels this open-door policy is critical to breaking down perceptions about treatment. The less clinical the setting, the more comfortable the student. The comfortable blue couches in her office beckon students to sit down and discuss issues one-on-one, like a conversation with another concerned human being as opposed to a scientist experimenting with a sick subject. Posters featuring celebrity heroes line the walls outside her office: Beyoncé, Martin Lawrence, Mariah Carey, and Jennifer Lewis. These celebrities have been open about their depression and bipolar disorder, paving the way for students to do the same. 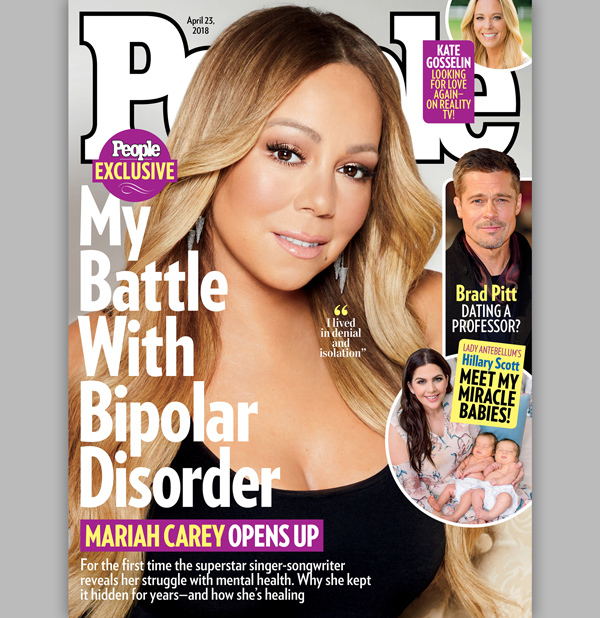 Celebrities like Mariah Carey that openly discuss their mental health struggles play an important role in helping others follow suit. Once the students are feeling better, Dr. Alexander encourages them to write a letter to themselves, explaining how different their lives are with the changes they’ve made. Medication and counseling are seen as tools for regaining and maintaining mental health in addition to faith, not in place of it. Mental health becomes seen as something deserved by all income levels, not just the rich. Medication and counseling are seen as tools for regaining and maintaining mental health in addition to faith, not in place of it. Mental health becomes seen as something deserved by all income levels, not just the rich. The hope is that if students obtain better mental health, grade-point averages and graduation rates may improve, not to mention lives may be saved. Considering that the National Institutes of Health reports suicide is the second leading cause of death for individuals between the ages of 10 and 34, prevention has a high reward. This model is worth universities studying closely, especially if they serve students whose lives have been upended by poverty. The resilience learned by overcoming poverty at a young age through education and opportunity reinforces the idea that poverty is not a permanent condition. As students gain the confidence to adapt to surroundings, to innovate and create change, their success will be repeatable. That’s an investment in human capital that can push back the boundaries of poverty and allow students to tap into their potential. That’s the type of student Paul Quinn strives to create.